Raekwon the chef has been on a serious roll for the past three years, seemingly making up valuable time lost in the late 1990’s and early 2000’s. He now offers a mixtape to tide fans over until he can accommodate them with something a bit more filling. The between meal snack is titled Unexpected Victory, and features plethora of shaolin soldiers in training, as well guest appearances from fellow lyrical kingpins. The collection reveals its chief architect’s varied musical tastes, while also exposing his artistic limitations. Producer Scram Jones proves himself to be musically agile with three versatile offerings. He effectively channels Rick Rubin era Run DMC on “The Brewery.” Providing a suitably sharp contrast is the aptly titled “Silk,” which emanates a mellow Marvin Gaye style vibe. Violins maintain a steady low key whine in the background. Rae adjusts his delivery just so in order to suit the mellow vibe, as does guest CL Smooth. “That Good Good” is a pulsating pimp strut down the Soul Train line. A monotone hum blows trough the cavernous landscape of the track as bass heavy horns burrow underneath the ground. Harpsichord strings complete the heroin laced players ball ambiance. 9th Wonder adds a haunting old soul sensibility to “Pinebox Story” another of Rae’s patented tales from the crack side. The sample plays as though lifted just as the needle began to skip on the vinyl. It consists of tambourines, xylophones, jutting bass, and mournful singing. The suitably short story tells the tale of flossy young hustler who gets caught slipping by his elders and pays an ugly price in the process. Producer Vin Da Chin injects a bit more sonic diesel into the listener’s bloodstream on “MTV Cribs.” Triangles twinkle in the night sky as violins escalate into the heavens. Flutes blow softly in the breeze as bongos beat out a bubbling tribal rhythm. Rae gives the listener a virtual tour of the ultimate hustler’s abode and all its accoutrements. Featured guest Busta Rhymes adopts a spoken word cadence, making for a nice change of pace from his manic, rapid fire spit. “Chupa Cabra” sounds like the title creature peering from the tall grass and waiting to pounce on its prey. Capone-N-Noreaga join the chef, and engage in a bit of their penchant and forth. Unexpected Victory switches between musical modes, juxtaposing an 80’s rap/rock sound with various forms of R&B. The mellow tracks prove to be more musically appealing than the harder edged ones. The production remains consistent throughout, despite the long list of contributors. The one unforgivable misstep is R&B singer Altrina Renee’s solo offering “Facetime.” Not only is it woefully out of place here, but its faux radio show opening proves better than the actual song itself. As with other Wu projects, affiliates and proteges abound. All are adequate, but the by now tiresome subject matter and routine deliveries make them all sound the same. Raekwon himself is similarly hampered by his seeming lack of growth, though he proves to be as lyrically dexterous as ever. The lack of surprises makes this Unexpected Victory play more mundanely than it would have in an earlier era. The album maintains it's unifying theme of an O.G. passing on game to younger players, hoping that they dutifully carry on tradition. 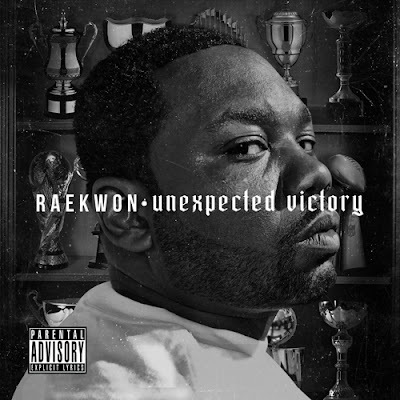 Though it sits comfortably as an extended interlude within the Cuban Linx chronology, it’s apparent that Raekwon himself remains in a time warp. His subject matter stopped evolving a long time ago. As a result, his pupils may feel as though they’ve heard it all before. Though the sermon still sounds good, it would be nice to see a bit of an evolution on the part of the preacher. Click here to download Unexpected Victory.